By posting this recipe I am entering a recipe contest sponsored by Potatoes USA and am eligible to win prizes associated with the contest. I was not compensated for my time. In one of my first nutrition classes, we read the book Nourishing Wisdom and I distinctly recall a section about the flavor of place, and how the author found himself loving and craving pizza when living in New York, avocados when in San Diego, and Gravenstein apples when in Sebastopol, California, a place where they’re particularly grown. When I read that section of the book, it took me back to fall term of my senior year as an undergraduate. I lived in Ireland that semester and for the first time in my life, could gladly eat potatoes every single day. My favorite was to buy the smaller baby potatoes, slide a few into a pot of cold water on the stove, bring to a boil and cook until soft, and then serve plain as a side with no additional flavorings except a little heavy-on-the-vinegar Irish ketchup and a dash of salt. It was heaven. And then I returned home and my affinity for potatoes dropped away just as quickly, even though I grew up eating them a whole bunch. I haven’t craved a single potato-based meal since living in Ireland. Enjoyed, yes. But never craved in that same way. Which is really too bad because my local farmers grow some particularly lovely and flavorful potatoes, baby size and all. I’ve an intention to focus more on making the main components of my meals from local ingredients for the next couple months, and that means exploring some great foods I don’t always rely on. While at my local farm the other day, I noticed all the different potato varieties lining a whole section of the stand and I quickly grabbed up several handfuls of each, envisioning all the different ways I’d like to enjoy them. While simple can often be best, I decided to center them in a savory sweet Moroccan Tagine. If you’ve never tried a tagine, I think this version is the Northern African equivalent to the very-Irish Potato Stew I grew up on. So completely different, but also so similar. And while still on the topic of flavors of place, there’s actually a good reason why we crave foods grown in our regions, those in season, or what is super super fresh. They’re the foods that are often packed full of all the nutrients! This is particularly important for us athletes who are trying to maximize our nutrient intake, pack in some quality meals to enhance recovery, and eat for flavor, texture, and enjoyment. For me anyway, even several years beyond the Ireland potato phase, this meal hits all those spots. While I don’t generally go into nutrients and calories and nutritionism in detail in this space, I recognize that some of you actually do want this information, and to be honest, I live in this world for at least half my time right now so I do understand. And to be clear, I also once thought potatoes weren’t a very nutritionally sound food choice but that’s generally only true if they’re eaten without their skin, are fried in rancid oil or processed beyond recognition. For athletes especially, potatoes provide a good source of carbohydrates and potassium, as well as several trace minerals, and if super colorful like the one below, phytonutrients needed to perform at one’s best. A medium potato with the skin provides just 110 calories and a good hit of the daily value of vitamin C, which is an antioxidant needed for optimal athletic recovery. They also provide more potassium than a medium banana, which aids in muscle, cardiovascular and nervous system function. And nearly all of us–athletes or non-athletes–fail to get enough of this essential electrolyte! Lastly, potatoes provide as much — if not more — of several essential vitamins and minerals found in spaghetti, brown rice or whole wheat bread, making them a smart addition to the other favorite performance foods. This is especially true because the more diversity in our whole-food choices, the happier our gut microbes–and thus health! And even more important for athletes who stress the GI to the max in all our fun but grueling endurance pursuits. 1 Nutritional data is based on a 5.2 ounce skin-on potato. 2 Gelibter, A., et al. Satiety following intake of potatoes and other carbohydrate test meals. Ann Nutr Metab. 2013;62:37-43. 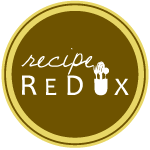 – Ras el Hanout is a Moroccan spice blend, somewhat similar to a garam masala. The name actually means “Top of the Shop” and each spice house will usually have their own blend which features their best spices. I made my own (see below), but there are several good ones available to purchase, or improvise with a garam masala knowing it won’t provide quite the same flavor profile. -Other than the potatoes, any summer vegetables will work in this and I encourage you to use what is fresh and available near you! In a large pot or dutch oven, warm the oil over medium heat and add the garlic and onion. Cook until the onions begin to soften. Then add the ras el hanout spice, salt, potatoes, summer squash and broccoli. Stir to coat, and then add enough water to barely cover most of the vegetables. Bring to a boil and then turn down the heat to a low simmer, cover, and cook until the potatoes are tender, about 20 minutes. About 10 minutes before the potatoes are done, stir in the green beans, garbanzo beans, and dried plums. As the vegetables are done, add in the lemon juice to balance the flavors and then taste and adjust seasonings. Serve it as is, or alongside some quinoa. Blend this up by weight or by teaspoons.